The sports atmosphere in Western New York has been crowded in the past several days. 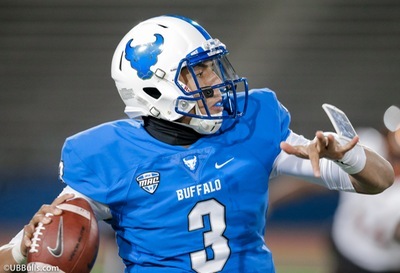 Most of the oxygen has been taken by fans of the University at Buffalo and St. Bonaventure basketball teams, while the Bills’ moves at the start of free agency have been very noteworthy as well. It’s tough for everyone else to find much breathing space with all of that going on. So consider this a public service announcement of sorts, as we try to catch up on what’s going on with the Buffalo Bandits. And based on Friday night’s game, the news isn’t good. The Bandits never led for a second of a 16-10 loss to the Saskatchewan Rush before 12,936 in the KeyBank Center. That made it three straight losses for Buffalo, dropping its record to 6-6. What was a first-place team a couple of weeks ago is now right in the middle of mad scramble for playoff positions in the National Lacrosse League’s East Division. Admittedly, Saskatchewan is not a team that is an ideal opponent when your team is struggling. The Rush improved to 11-2 on the season, easily the best in the league. Players like Robert Church (six goals on 11 shots), and Mark Matthews (one goal and eight assists) reinforced their reputation as the best one-two combination in the game with their performances. This one felt like it was going to be one of those nights for the Bandits almost from the start. Matthew Dinsdale scored for Saskatchewan only 45 seconds into the game. The teams alternated goals for the next few minutes, but Church picked up his second of the game just past the nine-minute mark of the game – and the Bandits trailed the rest of the way. Buffalo was down by 5-3 at the end of the first period, and by 8-4 at halftime. The lead reached seven goals at 13-7 at the end of the third period. Buffalo had come from way behind earlier in the season to beat the Rush earlier in the season in Saskatchewan, and there was a little spark when Dhane Smith and Jordan Durston opened the final period with goals 33 seconds apart. But Jeff Shattler answered Durston’s goal with a score only 16 seconds later, and it became rather obvious there that there were no repeat miracles to be found. Evans and Smith led Buffalo’s attack with three goals each. It was the second game that the two players have been on the same side, as Evans came over from New England in a recent trade. The adjustment period continues, but the two players are happy with the progress made in that time. The Bandits have lost their margin for error with this losing streak. Buffalo needs to get going , and soon, because it won’t take much more losing to fall out of a playoff position. With all of the five teams in the East so close, every divisional game will be doubly important down the stretch. Buffalo next goes to Georgia to play the Swarm on Sunday afternoon.